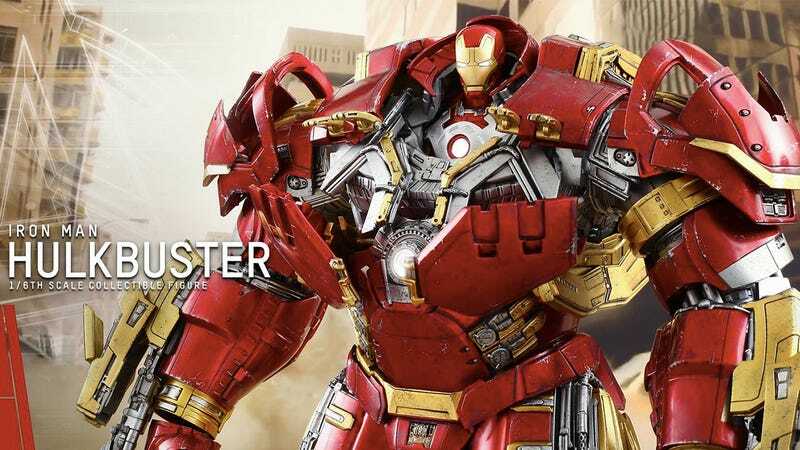 If you thought you'd seen all the wonderfulness there is to see with Hot Toys' 1:6-scale Iron Man Hulkbuster figure, you were wrong. It's apparently hiding even more secret details the company is slowly revealing. Like not only is the figure's helmet removable, but it actually pops off to reveal a tiny Iron Man Mark 43 bust on the inside.